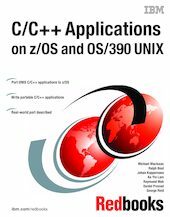 In this IBM Redbooks publication, we focus on how to move applications written in C/C++ from other UNIX operating systems to z/OS UNIX System Services. We highlight the traditional strengths of z/OS, and describe some of the subsystems not always found on other UNIX variations. We address application development tools, the C/C++ compiler, and open source development code such as the C++ Standard Template Library (STL) and the Adaptive Communication Environment (ACE). We also suggest some performance tuning techniques.